We spent last week in New Orleans at the Society for Maternal-Fetal Medicine annual meeting, awaiting the results of the HYPITAT II study, and learned – probably to no one’s surprise – that expectant monitoring is recommended over immediate delivery for women with pregnancy-related hypertension between 34 and 37 weeks. This second study – HYPITAT II – reported at The Pregnancy Meeting™ – found that, for hypertensive mothers between 34 and 37 weeks of pregnancy, postponing delivery until the baby is no longer at risk for breathing difficulties, or until mother or child become too severely ill to wait any longer, produces better outcomes than immediate delivery. The challenge, of course, is defining “too severely ill” in a disorder that is often characterized by a constellation of symptoms. That, and the fact that preeclampsia can turn severe and life-threatening in a matter of hours, makes expectant management (i.e., monitoring) challenging for all but the most experienced obstetricians. Nonetheless, these findings indicated that taking a monitored “wait and see” approach may be the best practice for better outcomes. 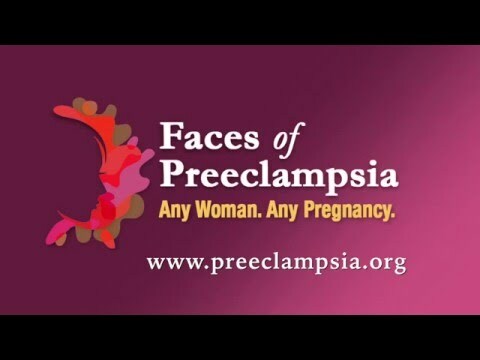 In addition to this oral presentation during the opening plenary session, it was encouraging to see over 80 other talks and poster presentations on the topic of preeclampsia. Low dose aspirin is still being researched with results supporting both sides of the decision to offer this intervention for possible prevention of preeclampsia; quite a bit of mechanistic research was presented (i.e., the molecular “cause” of preeclampsia); and much more. The scientific questions surrounding this complex disorder of pregnancy continue to intrigue and motivate researchers, which was heartening to see. More discouraging is what appears to be the snail’s pace and lack of large-scale clinical trials that are needed to move forward what we actually need to do for our preeclamptic women. Is Vitamin D the Answer? Other nutrition-based research on the relationship between low levels of Vitamin D and preeclampsia also came out recently, capturing widespread attention in the mainstream media. The research findings do not warrant a recommendation for widespread supplementation. The study’s author, Dr. Lisa Bodnar, clarifies that more research is needed. "It is important to remember that this was a study using data from the 1960s, and our population has changed in the subsequent 50 years. Therefore, I believe we need additional research on this topic using contemporary cohorts of women. If pregnant women are concerned about their vitamin D concentrations, they should talk with their health care provider and continue to take their prenatal vitamin." We were thrilled that our website’s information and Barnett’s experience could be used to help educate readers about this life-threatening disorder of pregnancy and drive home the importance of healthcare providers improving diagnosis and management practices to reduce the death, illness and disabilities caused by preeclampsia. The most compelling rationale for adopting the California Toolkit is that virtually all of the preeclampsia-related maternal deaths in California were found to have been most likely preventable. That means, we already know what to do to prevent moms from dying – we just need to ensure we diagnose and manage preeclampsia correctly, with every woman, everywhere, every time. Can we possibly do more? Maternal mortality strikes home, for everybody.